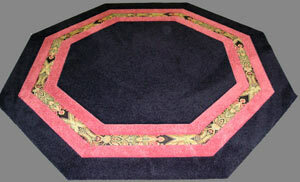 We can incorporate any pattern into a rug. We have hundreds of patterns to choose from, or just bring your imagination. 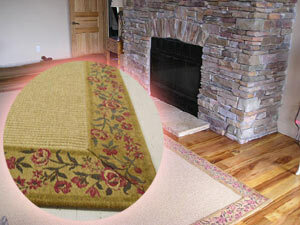 Incorporating fabric from your window treatment or furniture into a rug for a very special touch.